A proper field bag is essential for carrying supplies while birding, but choosing a field bag can be a challenge and different birders have different needs and expectations for their bags. By understanding what features to consider and planning how you will use a bag, you can choose a field bag that meets your needs and will be an easy, convenient tote every time you go birding. The more equipment you bring along, the larger, more specialized bag you may need to keep everything conveniently accessible. When choosing a field bag, several characteristics should be considered to select the best bag for your birding needs. Size: A small bag may not hold everything you want to take, but a larger bag will be heavier and more awkward to handle. Consider the size of any books you carry, as well as the size of your optics or camera if that equipment will be in the bag as well. For easy access, a field bag should have enough room that everything is handy to use without being too tight to easily remove. 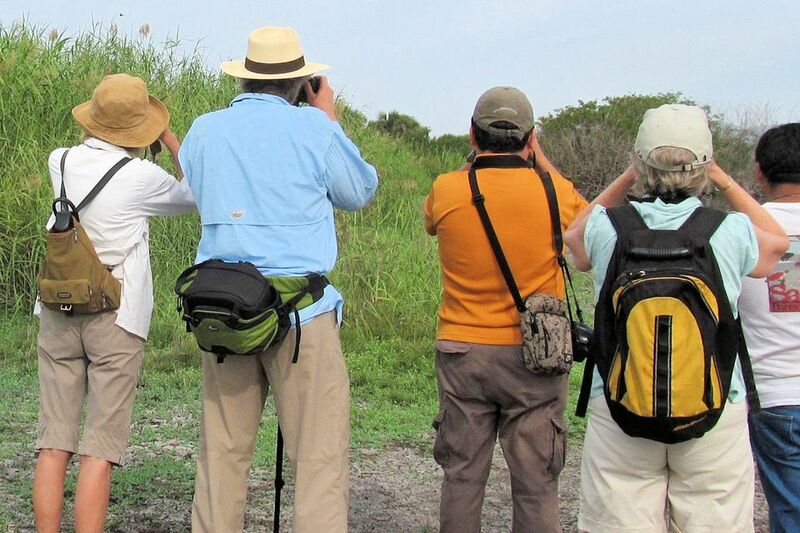 Some birders even select bags of different sizes for the different types of birding they may do. Pockets: Simple field bags may only have one or two pockets, while more elaborate bags may have multiple pockets of specialized sizes and shapes to hold certain items such as a water bottle, cell phone, or pens and pencils. Ideally, a field bag should have enough pockets to keep your gear organized, but not so many pockets that items get lost or you forget what you have in which pocket. Exterior pockets are often preferred for accessing items quickly, and a zippered pocket or two offers more security for valuable items. Material: The bag's material affects its quality and usability in the field. Soft canvas or denim bags may be more comfortable but could be less durable, while some nylon materials create noise that can be distracting or disruptive to birds. Some materials are easier to clean than others, and water resistant coatings can also be useful for different types of birding. Cushioned pockets or a cushioned rear panel can also make the bag more secure for delicate equipment and more comfortable to carry. Color: Basic totes come in every color of the rainbow, but field bags are typically camouflaged colors such as various shades of brown, green, or gray. These muted colors are better for birding gear and will not alarm birds as brighter shades could. If possible, opt for camouflage patterns and avoid bags with pictures or bold symbols that can be noticed by birds. Straps: The bag's straps are one of its most important features, and field bags may have a single strap, a waist strap, or two straps to be worn as a backpack. Very narrow string-like or stiff straps can be uncomfortable to carry, particularly for a heavy bag. Look for straps that may include padding or have adjustable buckles for better comfort and flexibility. Some bags also come with multiple straps for users to swap as needed. Security: Flaps and pockets that snap, zip, and buckle provide better security to protect equipment, but they can also be more difficult to open quickly. Velcro fasteners can also be noisy and may spook birds when used. Look for a field bag that has a combination of more secure pockets as well as looser fasteners to protect the most valuable or delicate items you carry but that still allows fast, convenient access to other storage areas. Hooks: Many elaborate field bags include multiple hooks on both the interior and exterior of the bag for fastening items with clips. These can be useful for storing keys, securing a camera strap, or keeping other items secure without needing additional pockets. Cost: A simple field bag can cost less than $10, while more elaborate, specialized models can be $200 or higher depending on the size, features, and manufacturer. Shop around to find the best price on comparable bags to select one that suits your needs as well as your budget. Depending on the features you need, there are many places to purchase a field bag. Simple basic bags can often be found at thrift stores or stocked with purses or school bags in retail stores. More specialized bags are often found with camping or sporting equipment, and both birding and hunting stores may offer a range of different field bag models. Online retailers also offer different bags to choose from with a wide range of styles and prices. Whether you want an elaborate, highly organized, specialized field bag or just a simple tote to toss a few supplies into, considering your birding needs and the features you are interested in will help you choose a bag that can be practical and indispensable whenever you go birding.